SAN PEDRO — The vessel that carried President Franklin Delano Roosevelt to the Tehran Conference to meet with Winston Churchill, was used by presidents Ronald Reagan and George H.W. Bush, and was subsequently nicknamed the ‘Presidential Battleship,” will be hosting a veterans’ celebration aboard, on Nov. 9. The Veterans Appreciation Festival, scheduled from 10 a.m.-4 p.m., will offer live music, kid-friendly activities, food trucks, patriotic Harley riders and more. 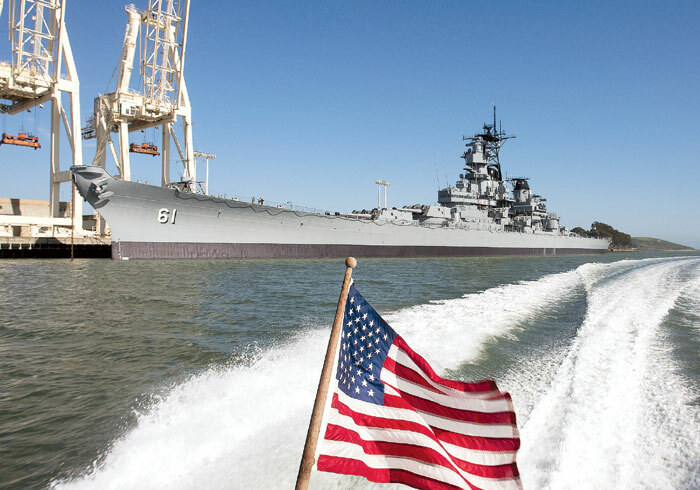 Veterans and active military service members (with ID) will receive free Battleship Iowa tours Nov. 9-11. “In the area of Los Angeles, there really hasn’t been a focal point for military veterans for years,” Bossenmeyer said. “Now that USS Iowa is resident in L.A. Harbor, it’s becoming a place for people to gather. The public is invited to attend and show their appreciation for all veterans. Family members of veterans will receive $10 tour tickets. Parking is available for $3 at Swinford Street and Harbor Boulevard.